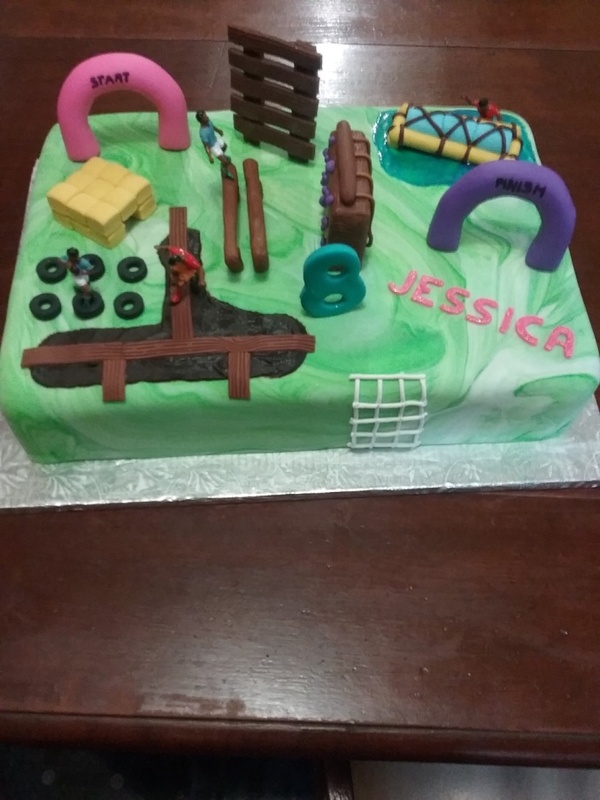 “Obstacle” Cake for Emma Murray’s daughter Jessica for her 8th Birthday. They held the party at Acrobranch in Melrose on 28th July 2016. 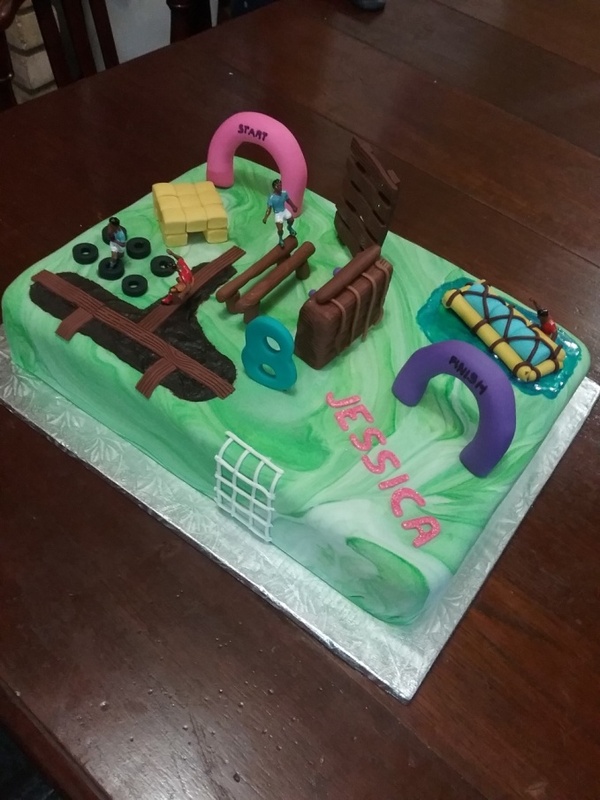 I have done at least 3 other Birthday cakes for Jessica☺ I also did some cup cakes for her class mates that was taken to school on the Monday after the party.